I remember when those storage vendors offered me copy licenses – that required much more capacity and money of course – to speed a database’s clone creation or an image recovery process. Despite having all these important mentioned features, we ran with a lot of problems to make it works on time when we really needed it, usually because they were so complex to use that we couldn’t afford to hire PhD to take care of it. Anyway, those SAN storage solutions were the only way to get that level of data management capabilities those days. Before continuing, you should take a look to my previous note to be up-to-date about How CRUSH, based on our experience, helps you to build the storage that fits your business requirements. Usually block storages have an index for every stored block at their corresponding disk pool. In old days, this indexing used to be managed at low level by specific pieces of hardware or controllers. Today it’s just pre-loaded software in a more standard piece of hardware with a reduced and optimized version of some known operating system in order to lower costs and get more flexibility. IMHO, the change from specific to a standard hardware was mostly due to the lower cost to acquire a much higher power to compute directly from the market against keeping manufacturing them. Commonly object-based storage solution are condemned to store static data that probably will be archived forever. This data rarely changes and is focused to publish via REST photos, docs, videos… and is easily cached and accelerated through Content Delivery Systems. This data is non-transactional – I know Chad will like this part – and it could be stored in SATA Disks and replicated geographically among different sites. However, #Ceph has come up to break this paradigm about object versus block, about non-transaction versus transactional data. 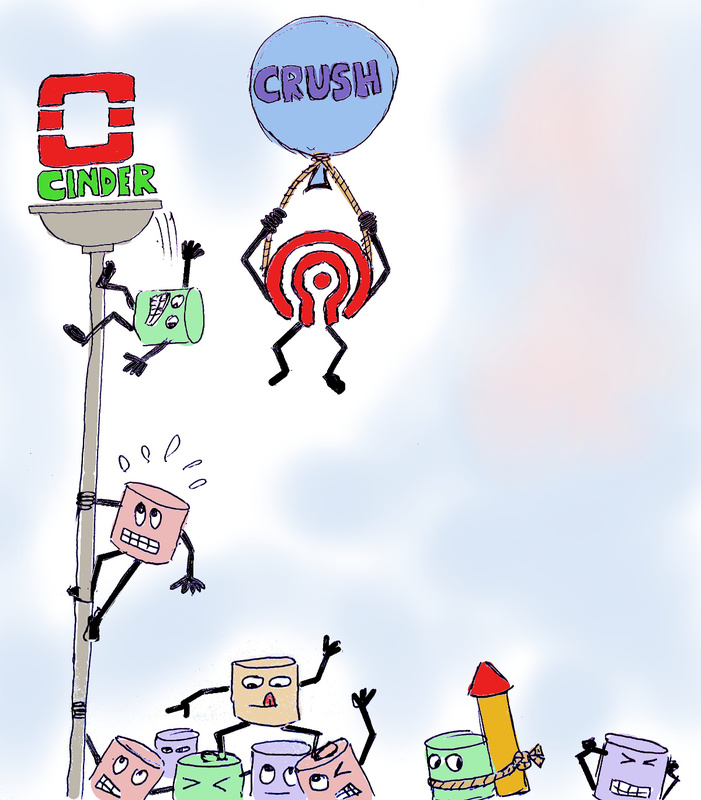 #Ceph uses #CRUSH, and #CRUSH allocates objects instead blocks in order to simplify the data layout distributed along the nodes. in case of #Ceph and its version of a Block Storage system that works through RBD (RADOS Block Devices), blocks are striped inside the objects, then CRUSH is kept as the responsible to distribute the data among OSDs (Object-Base Storage Devices ). I strongly suggest you to read the note “OpenStack Foundation Survey Cites Ceph as a Leading Distribution for Block Storage” at Ceph’s Blog Site. They are mentioning that 1780 OpenStack users responded the survey worldwide and “20 percent of respondents indicate Ceph is their block storage driver of choice for production clouds”…Amazing! We are not the only ones that believe that! Thanks to CRUSH, block devices are faster and their associated workload is evenly distributed among drives to get a better throughput. Also, through a right bucket definition and configuration, and its corresponding replication rules, you can assure an high reliability with a much lower operation cost. However, CRUSH is not bringing a solution to all data management requirements that include storage efficiency features like deduplication, compression and thin-provisioning, or data copy/protection tools like clones and snapshots. These requirements have been covered by #Ceph through other pieces of software that I will develop in my next note.